Alese Ashuckian, PE, LEED AP is an Engineered Wood Specialist for APA – The Engineered Wood Association based in San Francisco, CA. Her duties include consulting with designers on the efficient specification of engineered wood products in construction and supporting the correct design and installation of wood-framed systems. A licensed Professional Engineer in the state of California, Alese graduated from California Polytechnic State University, San Luis Obispo with a BS in Architectural Engineering and a minor in Sustainable Environments. She is an active member of the Structural Engineers Association of California. Prior to joining APA, Alese worked as a structural engineer in Sacramento, CA and San Francisco, CA. Lauren Asplen serves as Director of Healthy Sustainability Programs for the BlueGreen Alliance, a partnership of America’s largest labor unions and environmental organizations. At BGA, she manages the Building Clean project, which encourages the purchase of local and healthier energy efficient building products. Previously, Lauren spearheaded a program that gained White House recognition as a “Champion of Change” for engaging front-line factory workers in identifying energy efficiency opportunities. Lauren attended the first Harvard University/USBGC executive certificate program on Building for Health in 2016. Her work focuses on affordable housing and how to minimize exposure to hazardous chemicals in building products and bring economic opportunity to residents. Advisor to Commissioner McAllister, California Energy Commission Martha.Brook@energy.ca.gov Martha has been at the California Energy Commission (CEC) for over two decades; there she has become a highly respected expert in long term energy demand forecasting, building energy efficiency standards, and research and development of energy efficient technologies for residential and commercial buildings. Martha is currently the technical advisor to Commissioner Andrew McAllister, where she provides support on all areas of building and appliance energy efficiency, as well as energy data collection, organization, analysis and publication. Martha has a Bachelor of Science in Environmental Resources Engineering from California State University, Humboldt and is a California Professional Mechanical Engineer. Ms. Butterfield is a Sustainability Director at SWA, working with residential buildings. Her expertise is in sustainable consulting services, program certification support and implementation of high performance building technologies. With architects, developers, builders, and homeowners, she develops specific sustainability strategies for both new construction and renovations. Karla is an integral part of the initial strategic planning sessions and stakeholder workshops based on program criteria; she verifies in the LEED® for Homes, Passive House, Energy Star, Zero Energy Ready Homes, Indoor airPLUS, WaterSense and National Green Building Standard programs. Pam Cole is a Research Scientist at the Pacific Northwest National Laboratory. For over 17 years her research has focused on increasing the energy efficiency of residential and commercial buildings nationwide with codes and standards development, conformity assessment, and all phases in between including training, technical support, compliance guides, code compliance software, code notes and briefs. She evaluates new residential building innovations for potential code and standard barriers and creates successful strategies to overcome those barriers that would prevent or slow the approval process for new technologies and techniques that are unfamiliar to industry and code officials for bringing building science innovations to market. Pam recently has been applying her codes expertise to energy storage systems safety and deployment. She received the 2016 Energy Efficiency Code Champion of the year award as being recognized as a national advocate for improving the efficiency of buildings by the Building Codes Assistance Project and has held positions with the International Code Council (ICC) on the Energy/Existing Building/Green/Property Maintenance/Zoning Interpretation Committee (ECIC) and the Building America Enclosures Standing Technical Committee. Mike Collignon is the Executive Director of the Green Builder® Coalition, an organization he co-founded in 2010. He engages in national and state-level advocacy, publishes a monthly member publication and a monthly feature in Green Builder® Magazine, and is the Chair of the WERS® Development Group. He has presented at the 2016 HPC National Conference, the HPC Regional Conference in Portland (2016), Pacific Coast Builders Conference, EEBA, RESNET, Better Buildings: Better Business (Wisconsin), the Next Generation Water Summit, Green Building Focus, StormCon, AWWA’s ACE 2016, WaterCon, the AWRA's 2017 Summer Specialty Conference and the Sustainable Disaster Recovery Conference. Mike has also delivered testimony at the IECC and IgCC final action hearings. Finally, he has served as the moderator or host for Green Builder® Media's Impact Series webinars from 2012–present. Glenn Cottrell is managing director of the Builder Solutions team at IBACOS and is directly responsible for all aspects of IBACOS quality and performance work with home builders through the PERFORM suite of tools; providing knowledge tools, content, and technical consulting services to leading home builders nationwide. Glenn helped lead the ground-up development and expansion of BuildIQ®, the building industry’s first online education system for production home builders. Greg graduated from the University of Puget Sound in Washington State. 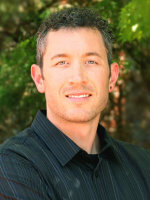 Greg has worked in energy efficiency and building science for nearly 10 years. Greg worked for CLEAResult on a joint utility ENERGY STAR lighting program that targeted the single and multi-family residential construction market in the Puget Sound area for over six years. Greg worked on a CLEAResult/NEEA high performance home pilot program designed to help home builders embrace Net Zero Ready construction practices for a year. In 2016 Greg joined the Mitsubishi Performance Construction Team. The Mitsubishi Performance Construction Team is focused on helping high performance builders find better HVAC solutions. Brandon De Young holds the title of Executive Vice President for De Young Properties and President for De Young Mortgage. Brandon holds a California Real Estate Broker’s license, is a Mortgage Loan Originator, a National Center For Healthy Housing Lead Certified Renovator, as well as Building Performance Institute Certified. He received Bachelor of Business Administration and Master of Science in Real Estate degrees from the University of San Diego. Brandon represents the third generation of his family in the homebuilding business, established by his parents, Jerry and Paula De Young, in 1974. He has been a critical factor in the growth and evolution of De Young Properties as not only a leader in quality craftsmanship and innovation, but also in building high performance, environmentally-friendly homes that are both energy-efficient and high-tech, utilizing some of the most advanced building science and technology. Susan Elovitz is the Director of Marketing at Thrive Home Builders. She has been a marketing professional in the home building industry for over 20 years. Prior to joining Thrive Home Builders, she was the Director of Marketing at a small Denver homebuilder and Regional Director of Marketing for the Western Region at Beazer Homes, a large national homebuilder. Since joining the Thrive team in 2008, Susan has helped Thrive win six DOE Housing Innovation Awards in five years, the National Housing Quality Award (Bronze), Green Home of the Year from the Denver HBA for six consecutive years, and Professional Builder Magazine named Thrive Home Builders their 2017 Builder of the Year. In addition, every Thrive home is built Zero Energy Ready, LEED Certified, and Thrive is Denver’s largest builder of EPA Indoor airPLUS-qualified homes. Geoff is Chief Technology Officer for Mandalay Homes, the nation’s highest volume builder of the DOE’s program for Zero Energy Ready Homes. Geoff oversees Mandalay’s home innovation, implementation, and strategies to improve efficiency, durability, health, and comfort, while maintaining market competitiveness. Geoff studied Aeronautical Science at Riddle Aeronautical University, in disciplines including engineering and aerodynamic performance. In 2003 Geoff shifted careers, and entered the home building arena working for Suncor as a construction manager in Prescott, Arizona. In 2013, Geoff began his career with Mandalay Homes. Geoff’s speaking engagements include RESNET Conferences, Tech Home Builder Summit, EEBA, IBS, and Arizona Zero Energy Ready Home (ZERH) Workshops. In his free time, he pilots the company airplane and spends time with his wife and three children. Theresa Gilbride is a researcher with the Energy Policy and Economics group at Pacific Northwest National Laboratory, where she supports DOE's Building America and Zero Energy Ready Home programs. I design, develop and deliver high-impact training products and provide technical consultation to contractors and homeowners. I've built a 15 year career as a construction professional with expertise in energy efficiency, sustainable building, instructional design and educational training. I also support team initiatives including business development, account management and project delivery. My mission is to serve with excellence and to lead with integrity while helping ambitious people and innovative companies reach their peak potential. I have a passion for lifelong learning and subjects that interest me include energy, health, philosophy, technology and social media. Dr. Claudette Hanks Reichel is Professor and Extension Housing Specialist with Louisiana State University AgCenter. She serves as Director of LaHouse Resource Center, a public exhibit of multiple high performance housing solutions and hub of Extension education programs to advance resource-efficient, durable and healthy housing for the southern climate and natural hazards. Reichel has developed numerous educational outreach programs and resources relating to housing, including energy-efficiency, healthy homes, hurricane and flood resilience and others. She has authored more than 100 Extension publications, presented at numerous professional events, was twice a featured speaker at the National Building Museum in Washington DC, and has received 12 national and state level awards for program excellence and impact. Lew Harriman is Director of Research at Mason-Grant Consulting in Portsmouth, NH. He is a Distinguished Lecturer and Fellow of ASHRAE, as well as a 16-year member of the Indoor Air Quality Association. In 2018, Lew was was elected to the IAQ Hall of Fame by that organization. He served as a National Peer in the GSA’s HVAC Excellence Program, and has been a contributor to both the English and Spanish editions of the US EPA’s “Guidance for Moisture Control in Design, Construction and Maintenance of Buildings. He currently serves as a consultant to the EPA’s Indoor Environment Division, assisting the review process for the EPA Guidance for Air Cleaners in the Home. Curtis Harrington, PE, is a Senior Engineer at the UC Davis Western Cooling Efficiency Center with over nine years of experience in research and technology development focused on energy efficiency in buildings. He has served as project manager on seven ventilation and envelope sealing related projects, primarily for the Californian Energy Commission and DOE the U.S. Department of Energy’s Building America program. His work on aerosolized sealing of envelopes was featured in the CEC PIER 2013 annual report for excellence in state-sponsored energy efficiency research. CR has a 25-year history of successful industry disruption and new business development for multi-billion dollar construction industries. In 2009, CR joined Meritage Homes as the Vice President of Innovation, where he leads initiatives for performance, materials, and process for High Production Residential Building. Meritage is credited as the first home builder to achieve 100% certification to the US EPA’s Energy Star for Homes, the first national production builder to offer Zero Energy Homes, and is the recipient of numerous awards, including NAHB’s EnergyValue Housing Award, Best Green Building Program, Builder of the Year , and the US EPA’s ENERGY STAR‘s Sustained Excellence Awards recognizing ongoing leadership from 2012 through 2018. CR has earned a BS in Biology / Chemistry, an MS in Environmental Science, an MSE in Chemical and Civil Engineering, and an MA in Philosophy. Graham Irwin, AIA, is the principal of Essential Habitat Architecture, a Northern California architecture firm focused on healthy, high performance, sustainable buildings built to the Passive House standard. He has a degree in physics, with additional studies in engineering and architecture, and an extensive background in software development. His firm has worked on numerous single-family, multi-family and commercial Passive House projects throughout California and the US, including the first certified Passive House in California, the first certified Passive House retrofit in the US, and the first certified multi-unit Passive House in the US. He is a licensed architect and licensed general contractor in the state of California. Nathan Kahre is the High Performance and Healthy Home Manager at Thrive Home Builders. As part of the Quality Assurance Department at Thrive, Nathan is responsible for the implementation of constructible and cost effective building science techniques. Nathan works directly with field personnel, subcontractors, and HERS raters to promote continuous improvement and create healthier, more efficient homes. Stephan Kamrass is Principal of Sareth Builders, LLC, a High Performance Design Build custom home originator based in Cleveland OH. Stephan is a PHIUS Certified Passive House Builder, NAHB Graduate Master Builder and DOE Zero Energy Ready (ZERH) Builder Partner. Stephan has committed to certifying all projects to ZERH certification and minimizing environmental impact of construction through study and practice of High Performance Building Technique. Prior to founding Sareth Builders in 2008, Stephan retired from a 19 year career in financial services. Dr. Karagiozis is the global director, Building Science at Owens Corning Science Technology. He is responsible for leading, shaping, driving, educating and training others in energy efficiency and green building science at Owens Corning. Previously, Dr. Karagiozis was a distinguished research and development engineer at the Oak Ridge National Laboratory (ORNL). Dr. Karagiozis is one of the leading building scientists in North America. He has been performing building science research for the past 28 years, trained more than 1400 professionals in moisture design, and championed and assisted in the development of innovative material systems and concepts. He has also co-developed three of the four of the world's most advanced hygrothermal models worldwide (WUFI, MOISTUREEXPERT, LATENITE family). Dr. Karagiozis is the author of more than 130 technical papers and multiple reports related to durable and comfort designed buildings. Mr. Larsen is a mechanical engineer by training with over 35 years of experience in the research and development of glass products for windows. Today, Jim’s principle job responsibility is supporting the recognition of efficient windows through building energy codes. He also provides product support through website development (www.cardinalcorp.com), product brochures, customer training, and building energy research. Jim has been involved with the National Fenestration Rating Council (NFRC) since its inception, has chaired many of the technical committees and has been elected to the NFRC board or director’s numerous times. Mr. Larsen has also been a board member of the Energy and Environmental Building Association (EEBA) and the Midwest Energy Efficiency Alliance (MEEA). He has been a member of the state energy code committees in Florida and Minnesota, and has testified on behalf of efficient windows for numerous state and national code activities. Jim is a frequent presenter at energy efficiency conferences such as EEBA, Affordable Comfort, BETEC, DOE Envelope Conference, etc., and is a recognized AIA education provider. Under Jim’s direction, Cardinal Glass has built and monitored multiple test houses across the country to evaluate the energy impacts of new glass technologies. These fully instrumented real world test houses have also been utilized by Building America research partners. The integration of the latest glass technologies with improvements to the performance of other building components is demonstrating the efficiencies possible in today’s buildings and provides validation on the building practices needed to reduce energy consumption by 50% and more. Brian has a B.S. degree in Industrial Education from University of Wisconsin – Stout. The majority of his professional career was spent in production home building in Ohio and North Carolina. He joined The Dow Chemical Company in 2010. His work at Dow has centered on new product and application development. He is affiliated with several building code organizations & standards committees. He has authored external publications and has given numerous presentations. Debra is a home performance and valuation specialist and creator of AjO, an HPxml data tool that makes it fast and easy for contractors and others to describe home energy upgrade project details. AJO produces a One Page Report that supports data requirements of real estate pros to attribute value to performance assets. http://ajohp.org/ Debra is active in education of real estate appraisers and agents on valuation and market representation of high-performance home assets; energy and water efficiency, beyond energy, and renewables. Maureen McGeary Mahle is Managing Director of Sustainable Housing Services at Steven Winter Associates, Inc. (SWA), a leading research and consulting firm specializing in energy efficient and sustainable buildings. Maureen has spent the past dozen years at SWA encouraging developers, designers, and builders to think holistically and build meticulously. She has certified over 12,000 green dwelling units in 10 states. Maureen works to tie human health to energy efficiency and green building, and her projects have been early adopters of Active Design Guidelines and the WELL Building Standard. Under her leadership, SWA is a five-time recipient of EPA's Indoor airPlus Leader Award for rating healthy homes. With more than thirteen years experience building homes in the greater Seattle area, Anthony is an advocate for sustainable design and green construction. He continues to push the envelope in the sustainable community with innovative construction methods that have positively influenced city building practices. As a lifelong Seattleite, Anthony has a deep commitment to creating communities that bring together like-minded individuals who value sustainability and modern design. Anthony has served as the Chair on the Board of the Master Builder’s Association of King and Snohomish Counties’ Built Green Residential Building Program for the last three years. He is a key member of the Columbia City Business Association and is sought after in the Seattle sustainable community to promote and share Dwell Development’s green agenda. Richard Scott Mills AboutSavingHeat.com 30 years experience BPI Building Analyst, Passive House Design Consultant, DOE Zero Energy Ready Builder Trainer. Over 1,000 residential energy efficiency retrofits and assessments as project developer and supervisor. Developed high performance training program for town of Basalt CO contractor certification. "Luke is the Sustainability Manager at FGY Architects and Pete Moffat Construction and an energy consultant. Luke began his current career as a HERS Rater and energy analyst in Atlanta. An odyssey of roles followed, including work at Rocky Mountain Institute and US Green Building Council before he eventually ended up in his current positions. Beyond Title 24, Luke's recent work has included Passive House modeling, off-grid and microgrid systems, Life Cycle Assessments of building materials, and plenty of zero net energy projects. In his spare time, he prevents his toddler from destroying everything. Bona fides: CABEC Board of Directors, CEA (Residential), LEED AP, Certified Passive House Consultant "
Craig North has been in the industry since he was 14, working for his uncle during summers doing everything from rough carpentry to roofing to siding to finish carpentry. He received a Bachelor’s in Construction Management from UW-Platteville in 1999. He is an NAHB Certified Green Professional, and also holds a PHIUS Builder Certification. Craig is the Vice President of Construction at Tim O’Brien Homes, Inc., a mid-sized semi-custom builder of single family homes. We specialize in economic green construction. Decisions we make are based on value for the end user. Tim O’Brien Homes, Inc. obtained the first NAHB Green Bronze, Silver, Gold, and Emerald Home ratings in the State of Wisconsin. We successfully built an Energy Producing Home in 2009. This year our company was awarded the National Housing Quality Award - Gold. We are currently launching Wisconsin’s first Net-Zero Community. All 34 homes will carry a Department of Energy Zero Energy Ready Home certification. Ed Osann is a Senior Water Policy Analyst with NRDC’s Healthy Communities Program. Since 2009 he has led NRDC’s work on water use efficiency through building codes, product efficiency standards, utility programs, and conservation pricing. From 1993 to 1996, he served as Director of Policy and External Affairs for the US Bureau of Reclamation. Ed holds a master’s degree in Urban and Regional Planning from George Washington University and a BS in International Relations from Georgetown University. From 2012 to 2015, he was a member of the Technical Committee for IAPMO’s Green Plumbing and Mechanical Code Supplement. In 2013, Ed was appointed to the 7-member Independent Technical Panel on Urban Conservation established by the California Department of Water Resources. In 2016, Ed joined ISO Project Committee 305, charged with developing an ISO product standard for Sustainable Non-Sewered Sanitation Systems, and served as head of the US delegation to this committee. During 2016-17, Ed co-chaired RESNET’s water efficiency index technical committee, and now serves on the RESNET/ICC technical committee for proposed Standard 1101, which describes the HERS H2O water rating index. Ed is a member of the AWWA Water Loss Control Committee, and contributed to the pre-publication review of the AWWA’s Manual M-36, Water Audits and Loss Control Programs, 4th Edition. Sam Rashkin is Chief Architect of the Building Technologies Office in the Office of Energy Efficiency and Renewable Energy, where he leads the development of high-performance home innovations through the Building America and DOE Zero Energy Ready Home programs. Sam is a registered architect and has served on the national steering committees for NAHB’s Green Builder Guidelines, USGBC’s LEED for Homes, EPA’s Water Sense label, and on the development team for EPA’s Indoor airPLUS label. He has served as the national director of ENERGY STAR 1994-2011. Sam has delivered hundreds of presentations, articles, technical papers, reports, and seminars, and books on energy efficient and green construction. Rachel Romero is an energy engineer at the National Renewable Energy Laboratory (NREL) in the Integrated Applications Center. Rachel is the competition manager for the U.S Department of Energy Solar Decathlon Design Challenge, which inspires the next generation of collegiate students to design net zero buildings. Also, she is the project manager and technical assistance program coordinator for the Department of Homeland Security (DHS) energy management program. Rachel obtained her Bachelor of Science in Mechanical Engineering from Hope College and then received her master’s degree in Building Systems Engineering at the University of Colorado Boulder and a graduate energy certificate from the Renewable and Sustainable Energy Institute (RASEI). She received her PE in 2014. Rachel is an active member of ASHRAE and acts as the Region IX Young Engineers in ASHRAE (YEA) Regional Chair and the programs chair for TC 7.1 Integrated Building Design. Jonah Schein is the Technical Coordinator for Homes & Buildings at the U.S. Environmental Protection Agency’s (EPA) WaterSense® Program. He has overseen the technical development and implementation of the WaterSense Homes specification and certification system since their inception. He is also responsible for efforts to expand the WaterSesne program's reach in the multi-family and commercial sectors through analytics, modeling, and benchmarking. Prior to joining EPA in 2008, Mr. Schein served as the Director of Outreach for Earth Day Network (EDN) where he was responsible for a number of initiatives to promote water efficiency through green building strategies in the United States and Middle East. Mr. Schein holds Bachelor of Arts and Bachelor of Science degrees from Indiana University as well as a Master of Science in Environmental Science from the Johns Hopkins University. Cassie Schmid is a Senior Marketing Manager at Uponor on the Intelligent Water team and has been with the company for three years. She brings with her ten years of prior experience in marketing for both brands and agencies. Her innovate spirit and customer-focused approach have made her especially mindful of market trends and customer insights. This understanding allows her to approach the topic of intelligent water with a unique blend of brand and category knowledge, as well as an appreciation for how that impacts the customer. Amy Schmidt, aschmidt4@dow.com, 989.638.5923 Amy Schmidt is committed to advancing community resilience across the U.S., Schmidt leads a team that is responsible for Dow’s code development and adoption activities and serves as the subject matter expert on energy codes. She serves on the ASHRAE 90.1 and 90.2 committees, and is actively involved with International Code Council code development. Appointed to the ANCR board in August 2017, she uses her expertise in construction, government affairs, chemistry and design to establish benchmarks that will be used by resilient communities to prevent infrastructure failure following natural and man-made adverse events. Where Suzanne sees opportunity, you can bet results will follow. With nearly three decades of experience and vision in the advertising industry, Suzanne has led Shelton Group to become the nationally recognized, energy- and environment-focused marketing agency that it is today. As president and CEO, she directly manages our marketing efforts and works with our research team on our proprietary studies. Drawing on her extensive knowledge of the industry, Suzanne provides unparalleled strategic insights for agency clients from a bird’s eye view. Suzanne is a guest columnist in multiple publications and websites, such as GreenBiz.com, and she speaks at over 20 conferences a year, including Sustainable Brands, ACEEE, LOHAS and Green Build. She also regularly contributes to the Shelton Insights blog. "Tadashi Shiga is the owner and creator of Evergreen Certified LLC. Growing up with deep roots in the Seattle real estate and development community, Tadashi has now been a real estate broker in the area for over 20 years. In 2007, he dove into learning about sustainability and energy efficiency for homes, shifting his focus and gaining a new passion. Tadashi then worked to become an Energy Star verifier and HERS Rater, and slowly began building a client base of developers and builders in the Seattle area looking to build green. Today Evergreen Certified has a client base of 150 builders and provides verifier and rater services for numerous programs including Built Green, PHIUS+, HERS, WaterSense, DOE Zero Energy Homes, NetZero and Energy Star. Tadashi was the first PHIUS rater in Washington, and was involved with the first DOE Builder’s Challenge home in the state in 2010. Evergreen Certified won the Built Green Hammer Award in 2013, and has been the green verifier for the 2013 & 2015 DOE Housing Innovation Award Dwell Development projects . Brett C. Singer, Ph.D., is the Indoor Environment Group Leader and a Staff Scientist in the Whole Building Systems Department at Lawrence Berkeley National Laboratory. He conceives and leads research studies of air pollutant sources, processes, exposures, and control strategies to achieve healthy environments in energy-efficient buildings. David Treleven holds a B.A. in biology and a M.S. in building construction with a concentration in sustainable construction. At Ultra-Aire, Treleven utilizes his past experience, ranging from building science consultant/researcher to construction laborer, to create high performance dehumidifcation and ventilation solutions for the mixed-humid and hot-humid markets. In addition, Treleven conducts in-field monitoring and measurements of systems to understand how Ultra-Aire's equipment interacts with other building systems. Will is dedicated to reimagining our built environment into one that is more inspired, more beautiful and more ecologically intelligent. He has been instrumental in bringing to life verified Zero Net Energy (ZNE) buildings in both the residential and commercial building sectors. In 2011, he founded a small building science consulting firm called Between Built & Natural Environments to help clients identify, evaluate and install cost-effective sustainable building solutions. In this capacity, he has worked closely with nationally recognized design firms, builders, research entities and investor-owned utilities. Currently, he is a proud member of Southern California Edison's (SCE) Energy Codes & Standards team, where he leads ZNE planning and coordination activities company-wide. Will has accepted invitations to speak on topics in building science at ASHRAE, USGBC, AEE, IBPSA, the White House and several universities. Iain S. Walker is the Residential Building Systems Group Leader and a Staff Scientist in the Indoor Environment Group at Lawrence Berkeley National Laboratory. He is internationally recognized as an expert on ventilation, building air tightness and the development of standards for commissioning and field verification of energy efficient homes. Jessica Walls joined Mandalay Homes, the Prescott based new home builder in 2017 and currently leads the company's marketing department. Bringing a wealth of knowledge to the Mandalay Homes team, Jessica holds a Bachelor of Business Marketing from the University of Phoenix and a Master of Business Administration from Grand Canyon University. She has worked in residential and commercial real estate for 15 years with a focus on managing all marketing, advertising, and communications initiatives for real estate developers. Jessica’s primary role at Mandalay Homes is to develop, implement, and oversee all marketing initiatives while promoting brand awareness. This includes understanding the current real estate market and what home buyers desire in their new home and to create the best experience possible for Mandalay's home owners. Jessica, a proud mother of two young children and grew up in Northern Arizona, making her a perfect fit for Mandalay Homes. Dennis is the Vice President of Operations for Fulton Homes where he oversees Sales, Marketing, Operations, and the Fulton Homes Design Center. In his 22 years there he has led the charge of using technology combined with past retail experience to help transform the company into one of the most advanced homebuilders in the country in the areas of customer experience, operations, and marketing. He has also been instrumental in moving Fulton Homes towards energy efficiency as Fulton Homes was the first builder in the country to have built all of its homes to Energy Star version 3 standards. Fulton Homes has been recognized as Energy Star’s Partner of the Year and Indoor airPLUS leader award winners each of the past three years, the only builder in the country to do so. Prior to joining Fulton Homes, he was Vice President of Stores for Eagleson’s a men’s clothing retailer owned by Ira Fulton, who sold the business to concentrate on homebuilding. Before Eaglesons, Dennis had a 20 year retail career with Hart, Schaffner and Marx, where he held increasingly responsible positions of Salesman, Store Manager, Buyer, Merchandise Manager, General Manager, and Store President. Dennis graduated from Chapman University in Orange, CA, and currently resides with his wife Janis, in Tempe, AZ. His daughter Laura is the Executive Director of a non-profit organization in Los Angeles, and son Darin is a lawyer in San Diego. Dr. Weston leads building science and construction technology research. She has developed and introduced to market many new products and is an inventor of four U.S. patents. She participates extensively in industry research programs and in standards and codes development. Dr. Weston is on the Chairman of the Building Enclosure Technology and Environment Council of the National Institute of Building Science, and has served on the Board of Directors of both the Energy and Environmental Building Association (EEBA) and the Cold Climate Housing Research Council (CCHRC). She is also active in publishing technical papers and presenting at construction industry and building science conferences. Dr. Weston is actively involved with many professional organizations and chairs technical and standard development committees. She is a member of the executive committee of the ASTM Committee on the Performance of Buildings and chairs the Sub-Committee on Air Leakage and Ventilation. At ASHRAE, she is currently Chair of the Standard for Energy Efficient Design of New Low-Rise Residential Buildings (90.2) and a past chair of the Technical Committee on Building Materials and Building Envelope Performance. Dr. Weston is active in the ICC code development process.